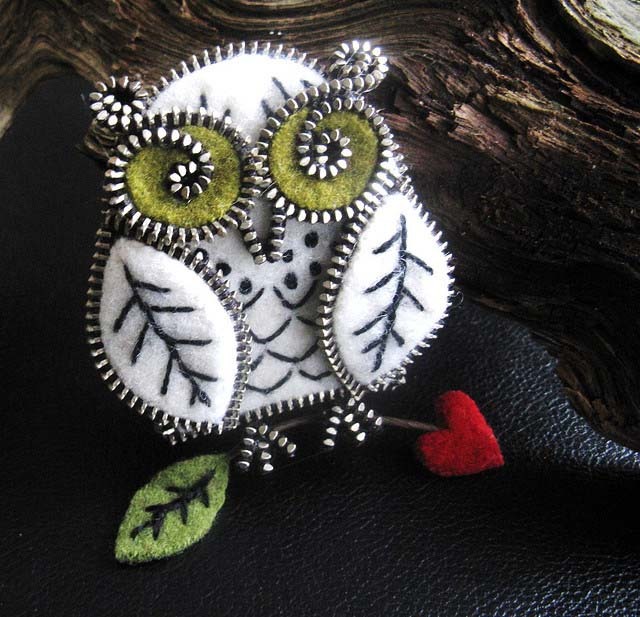 Bird Soveshka always symbolized wisdom andmystery for the human mind. 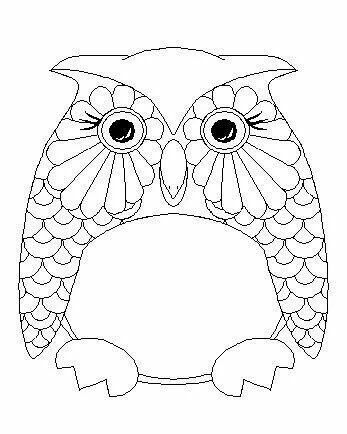 This night bird is really very skillfully hidden before dark, very wisely leads its life and hunts under the protection of the Moon.When a person receives an owl as a gift, it signifies a deep respect for the donor to him. 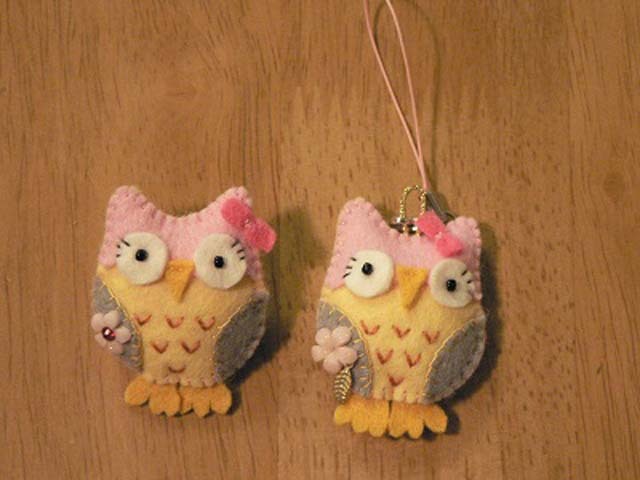 At the same time, even more attention can be paid to a person if you decide to sew an owl you want to give to a person yourself. 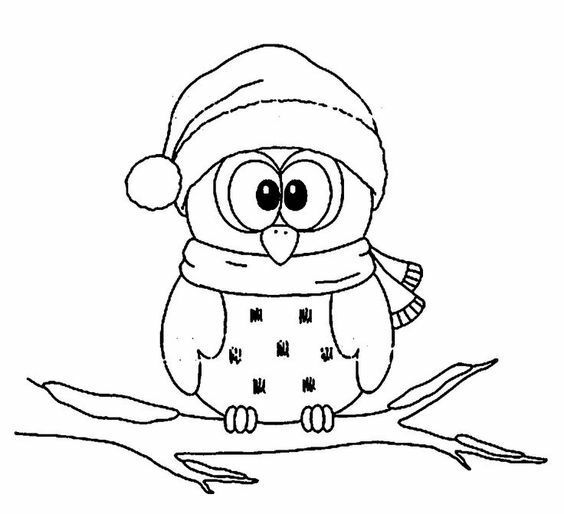 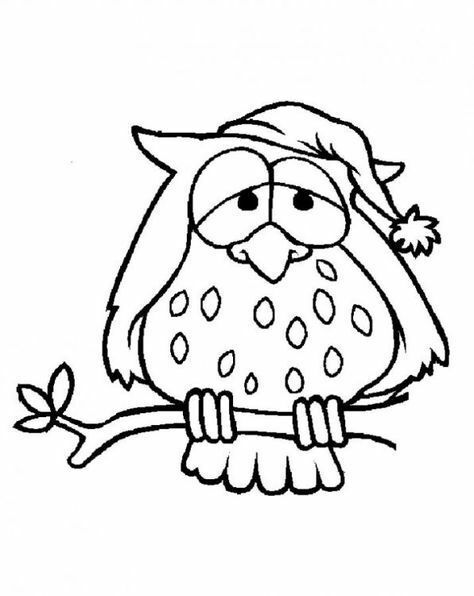 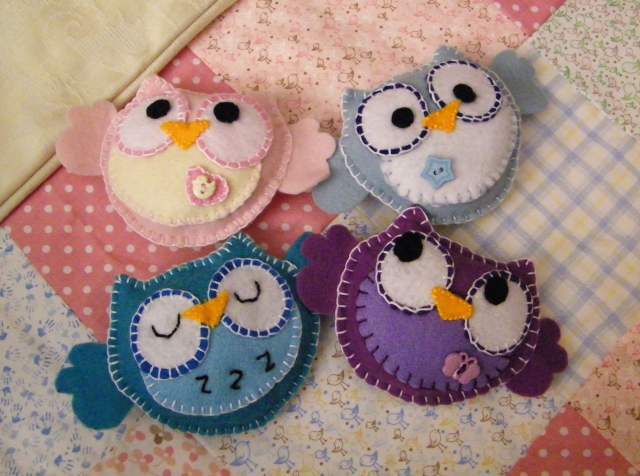 Take the time to create a toy, likethe opportunity to prove yourself - choose the brightest and beautiful patches of fabric, interesting buttons and beads, shiny ribbons and tinsel to decorate the owl. 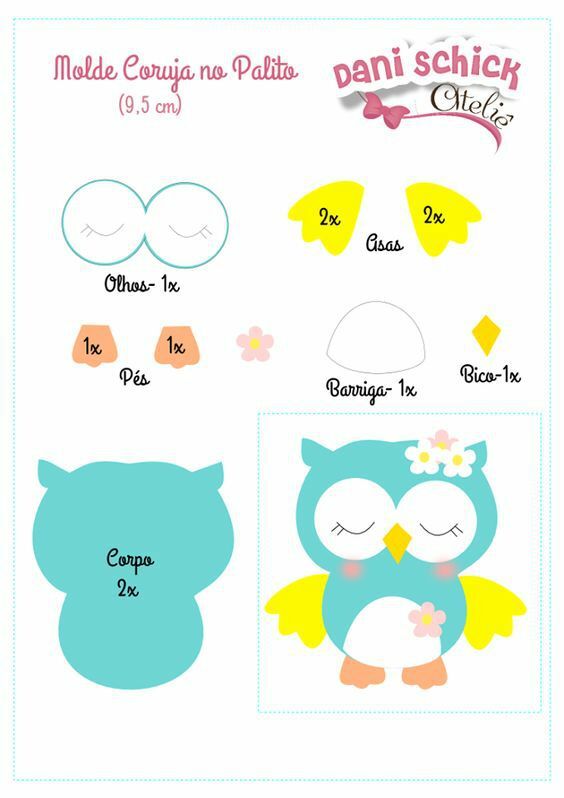 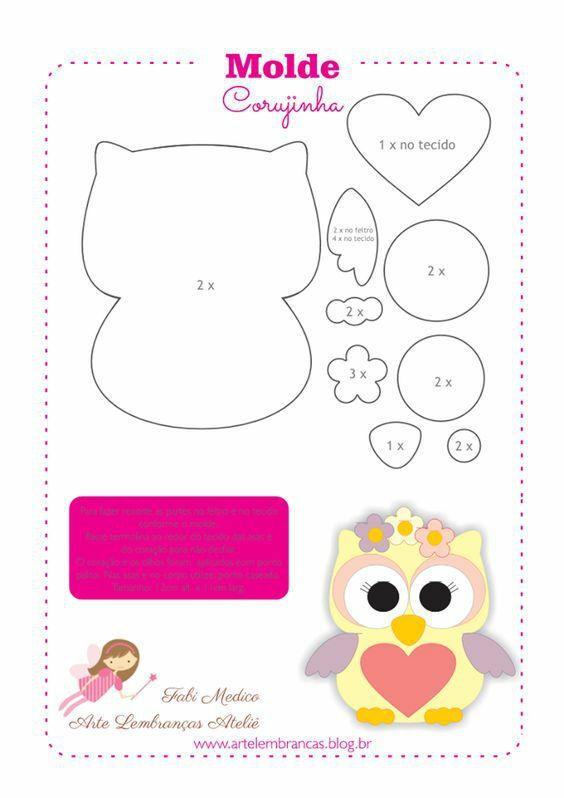 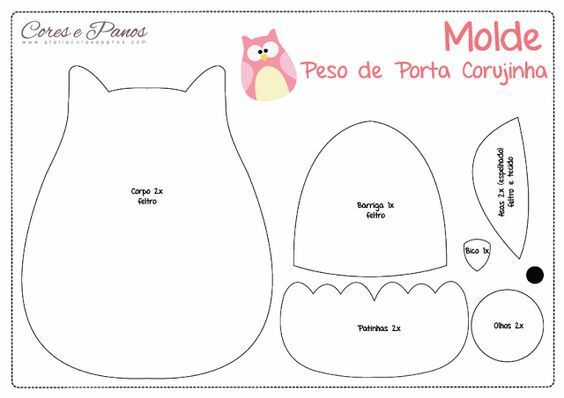 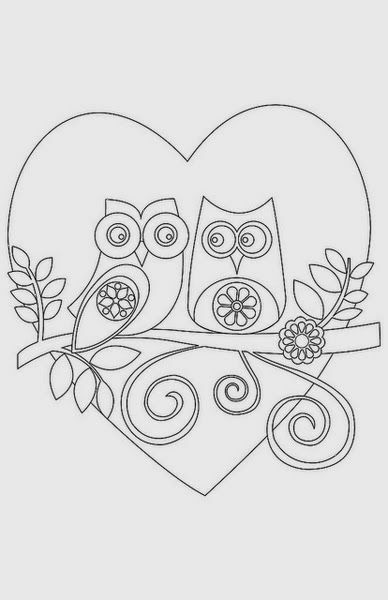 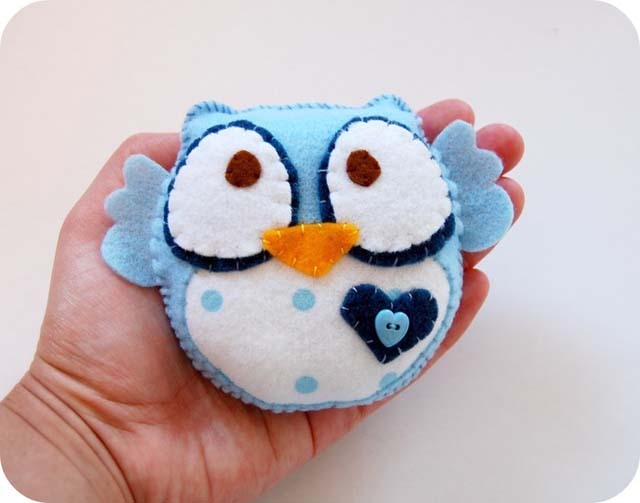 The owl pattern made of cloth The order of manufacturing the toy Originally fora pattern is prepared: you will need a paper segment of a circle with an angle of 85 degrees and one with an angle of 30 degrees. 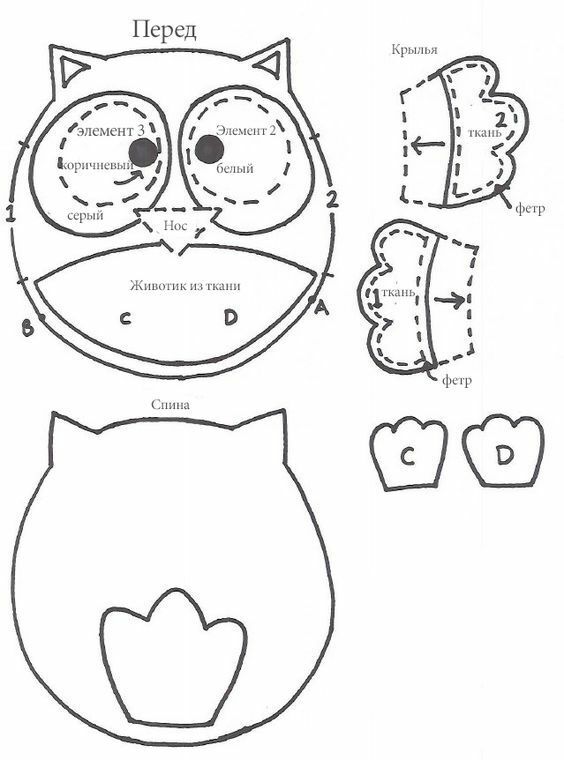 The radius of both segments of the segments should be the same. 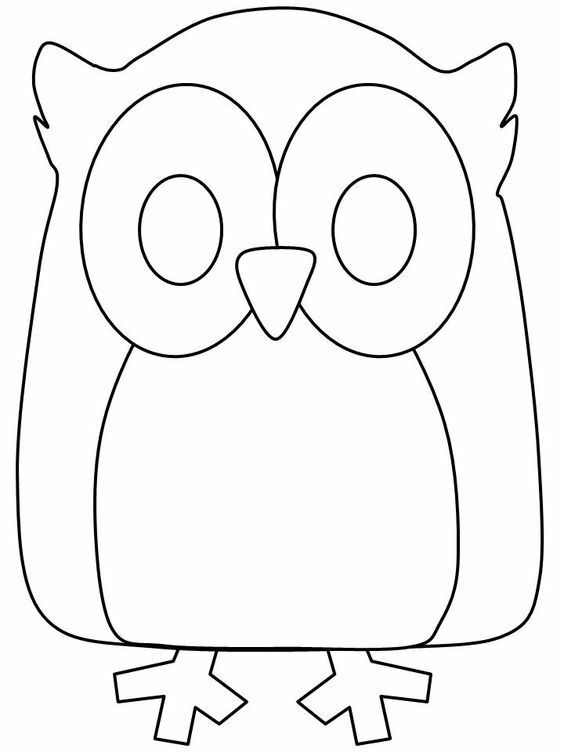 There are 2 triangles with a convex bottom of paper. 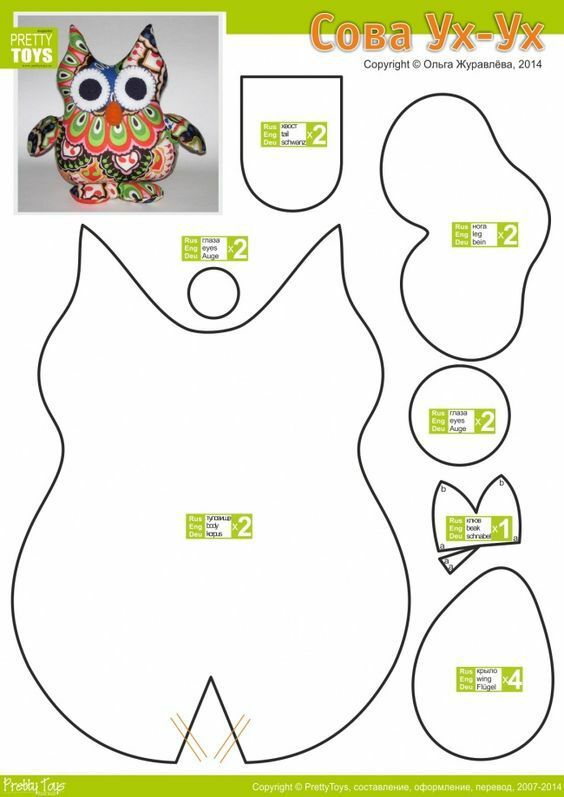 Using stencils, cut out 1 necessary detail for each pattern for the ham and sew them together, without sewing the bottom. 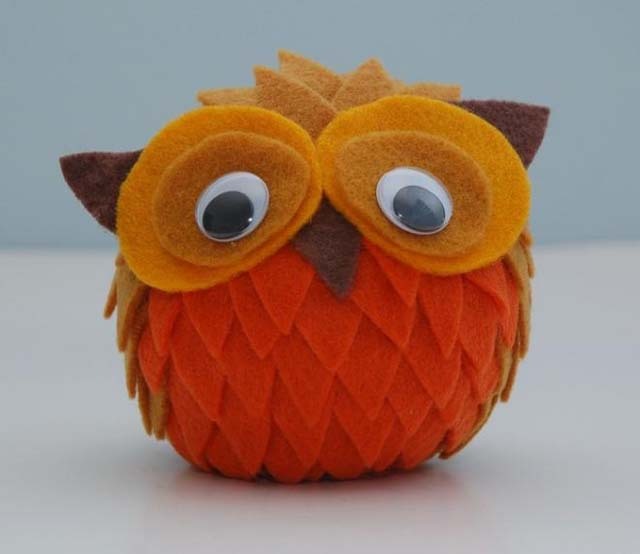 You should get a kind of rag cone. 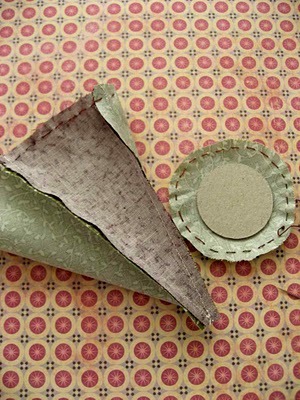 The upper part of the cone - about one quarter - is separated by a pin. 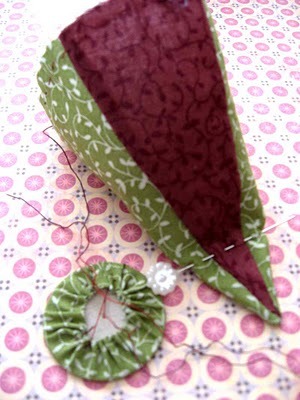 The rest of the cone is tightly packed with filler and sewed. 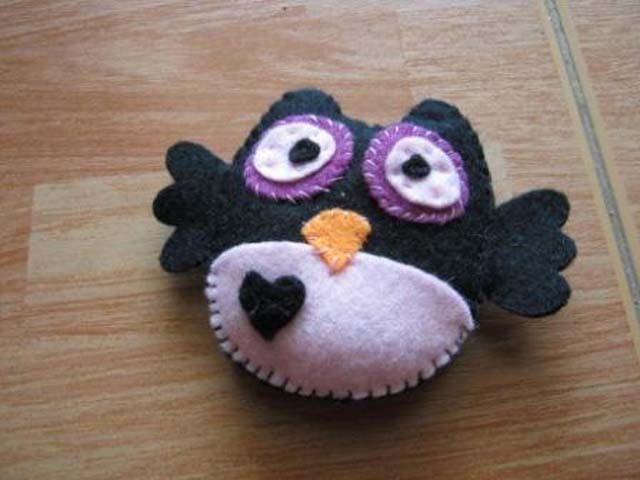 The tip of the remaining empty corner with a pair of inconspicuous stitches sew to the formed torso body - this is her head and beak. 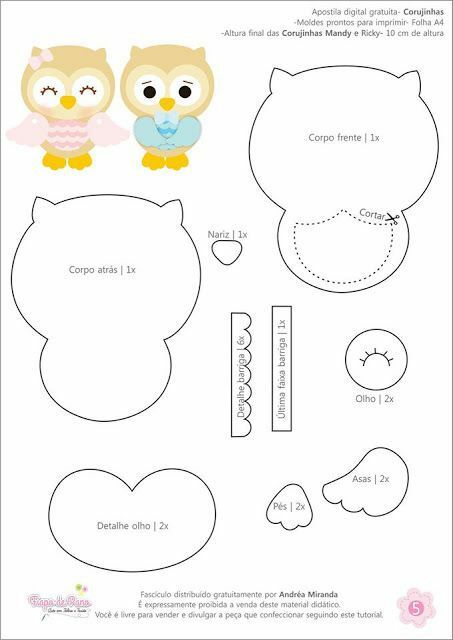 Using a pattern, cut out a circle thatby diameter will be slightly less than the "bottom" of the toy. " 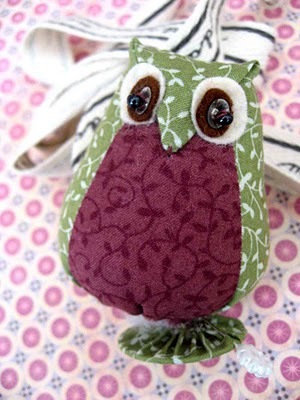 Tighten it with a cloth and sew to the bottom - with the help of such a stand the owl will firmly stand on your shelf. 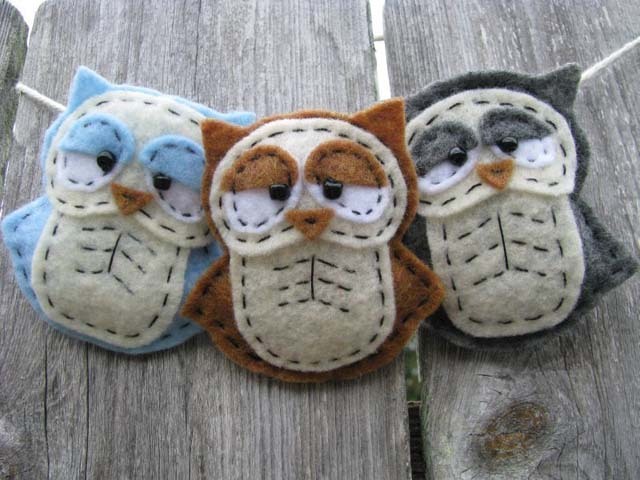 From the felt cut out white circles - the whites of the eyes, and brown or blue - their irises. 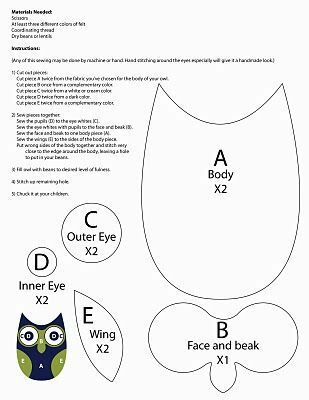 Glue or sew them to the location of the eyes. 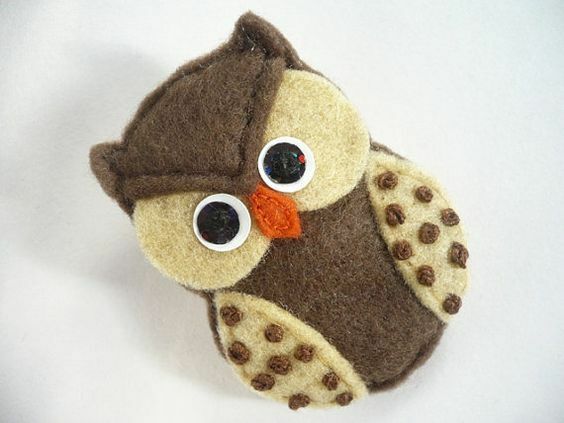 Pupils can be created from beads or buttons. 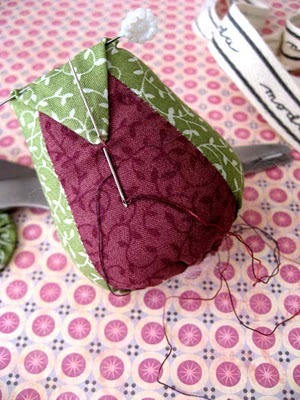 You can decorate a ready-made bird with a bow. 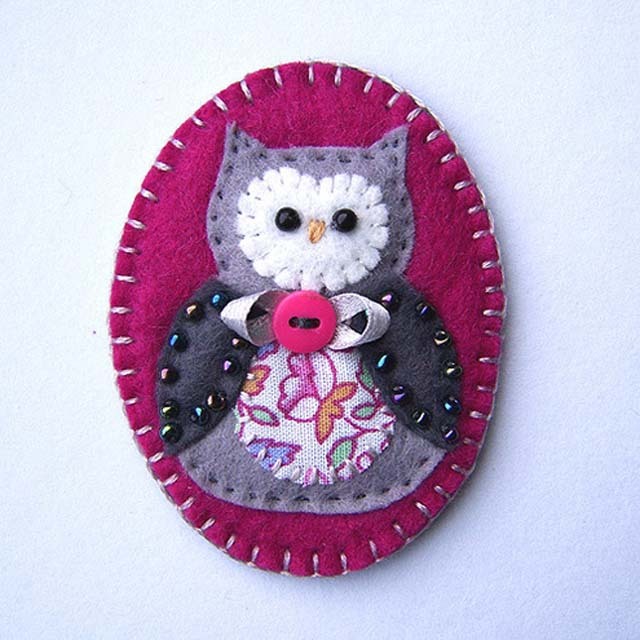 In the girl's girl-girl, the bow can be placed on the head or on the chest, And the elegant eagle owl is an elegant butterfly around the neck. 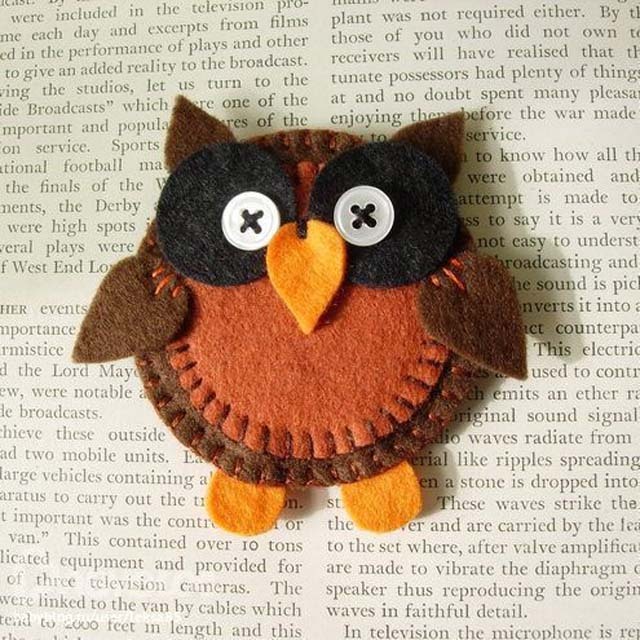 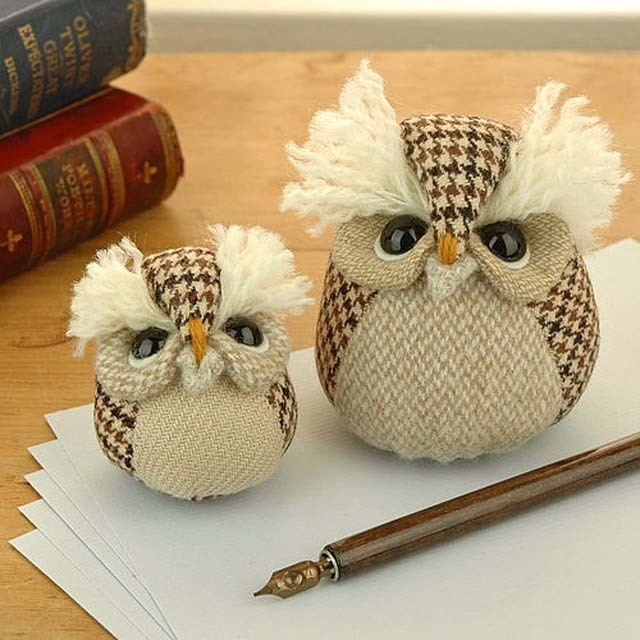 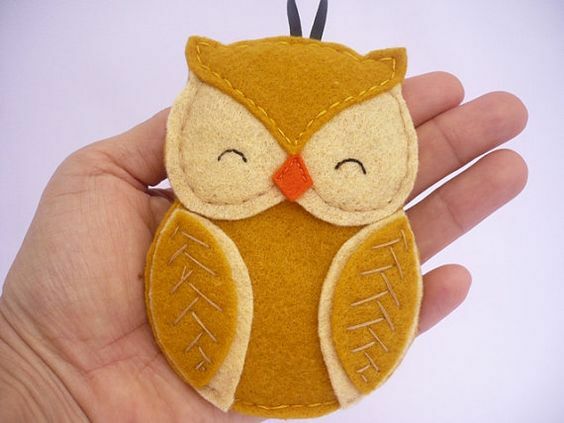 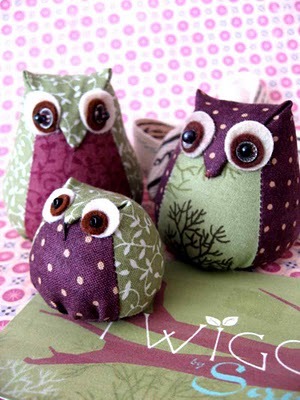 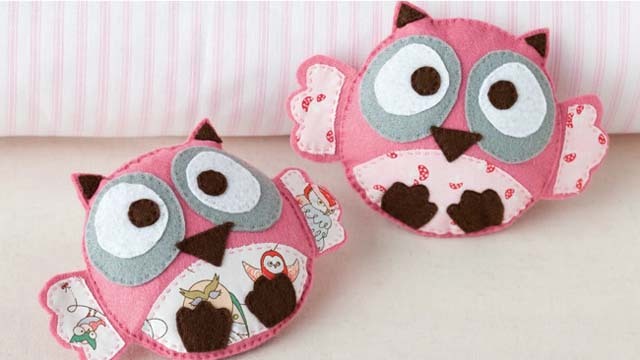 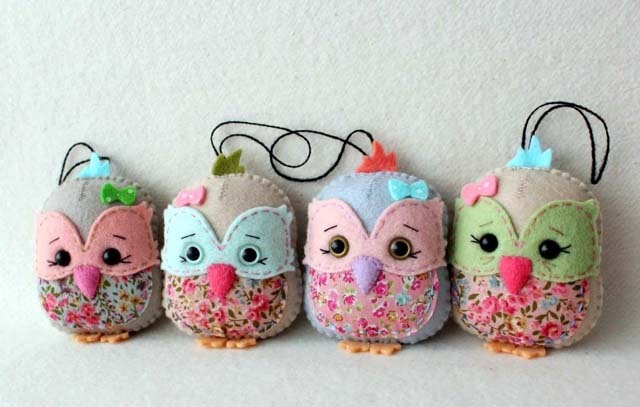 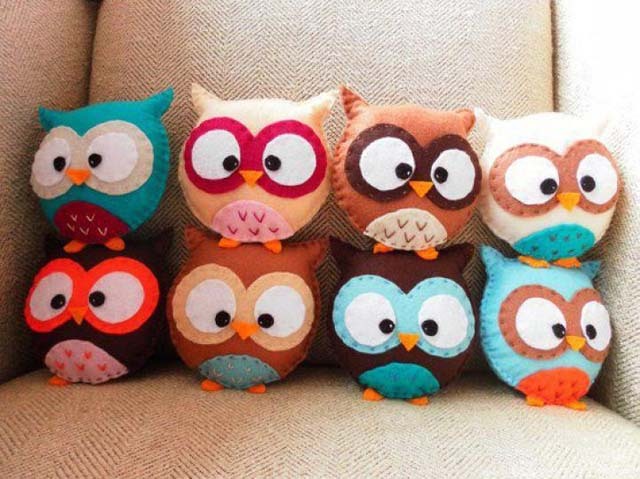 These cute owls - toys are sewed simply and quickly, even without a sewing machine. 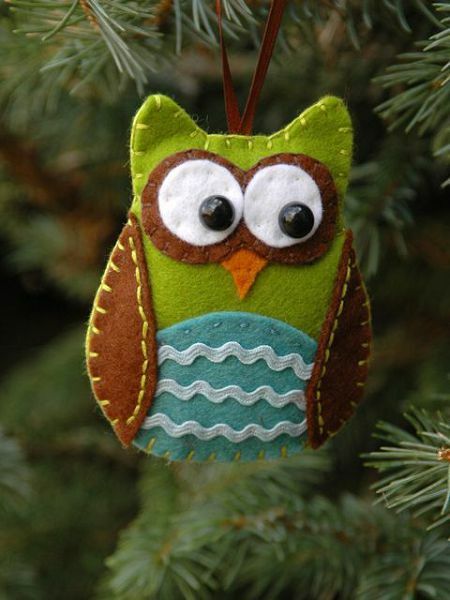 Use glue to join parts and decorative hand-stitches. 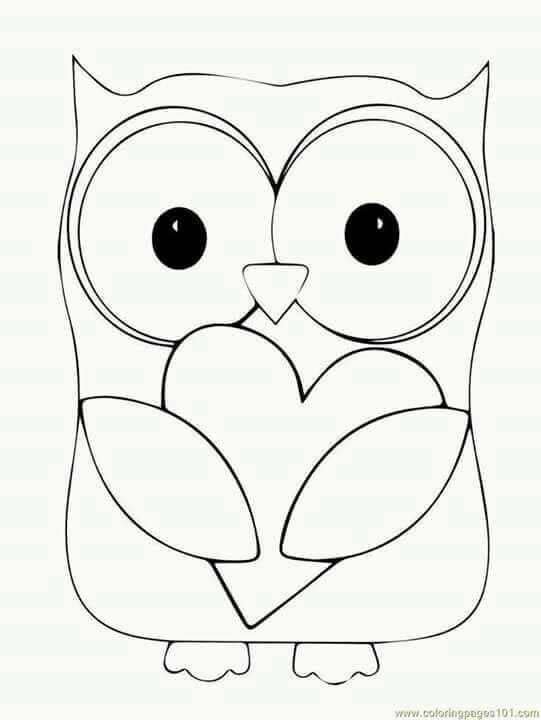 Patterns - below. 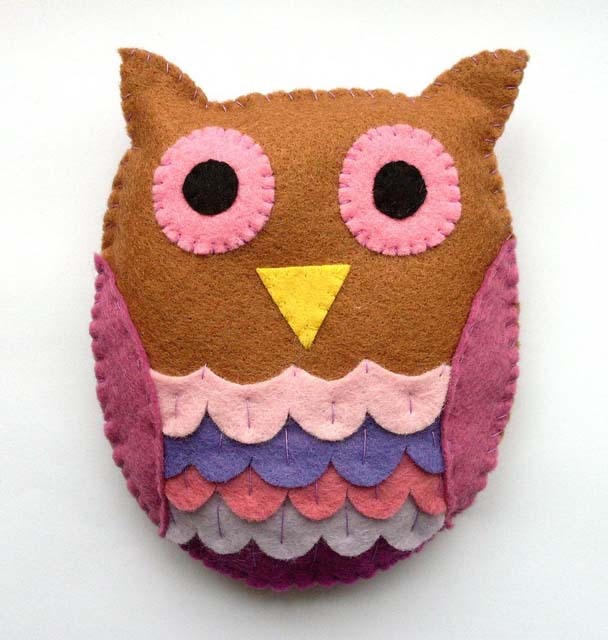 Owl of felt - patternClick to enlarge. 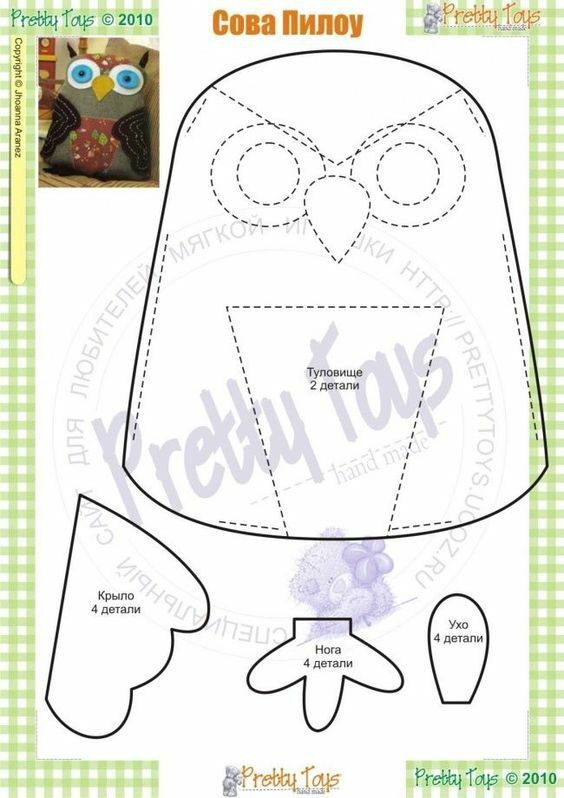 To pereshnjat a pattern it is possible directly from the screen. 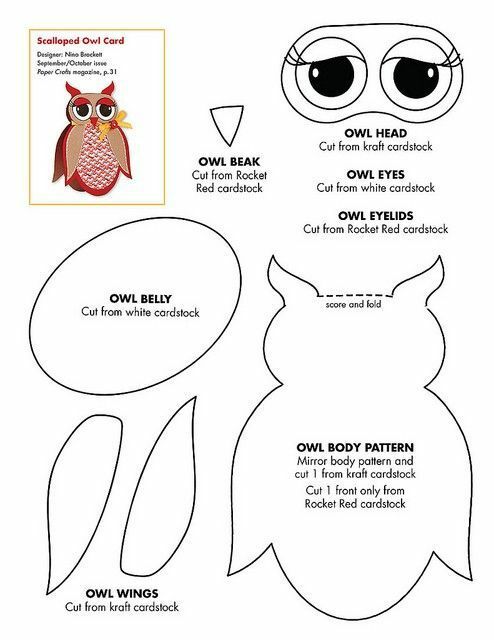 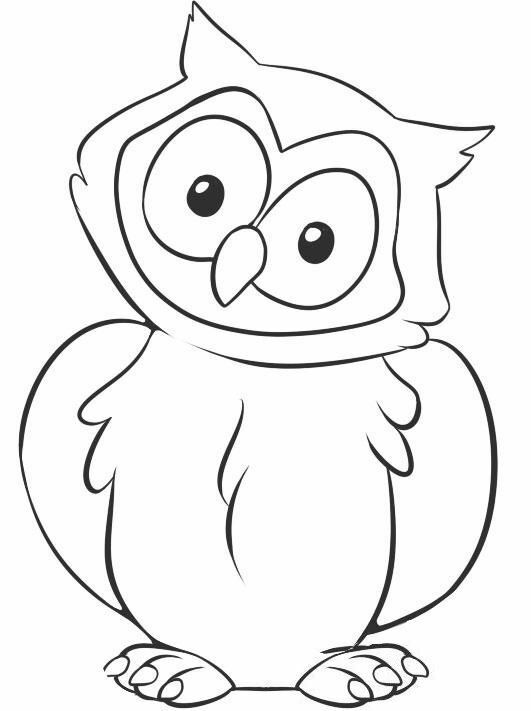 The owl will be even more interesting if you add some interesting details to the finished toy. 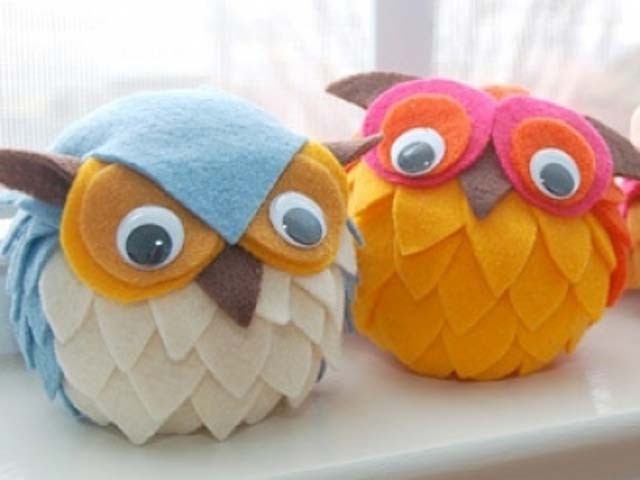 Or even slightly change the technology of making things. 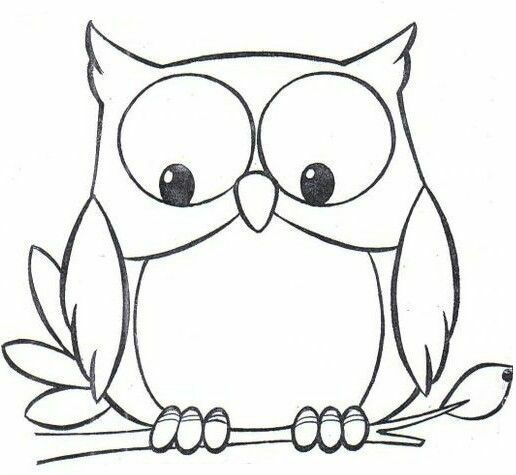 Owl is not like an ostrich that can notto fly. 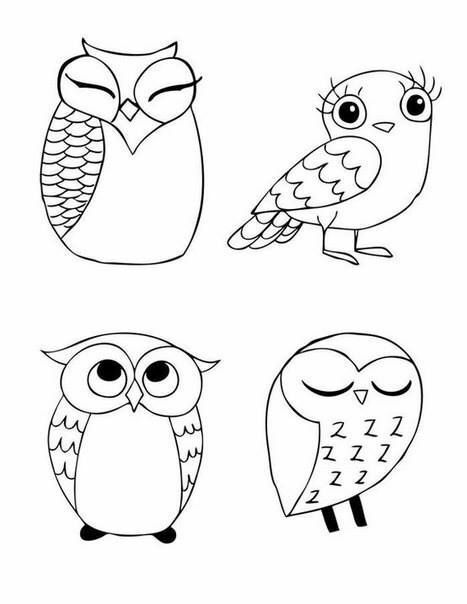 Although they do have similarities, they are wings. 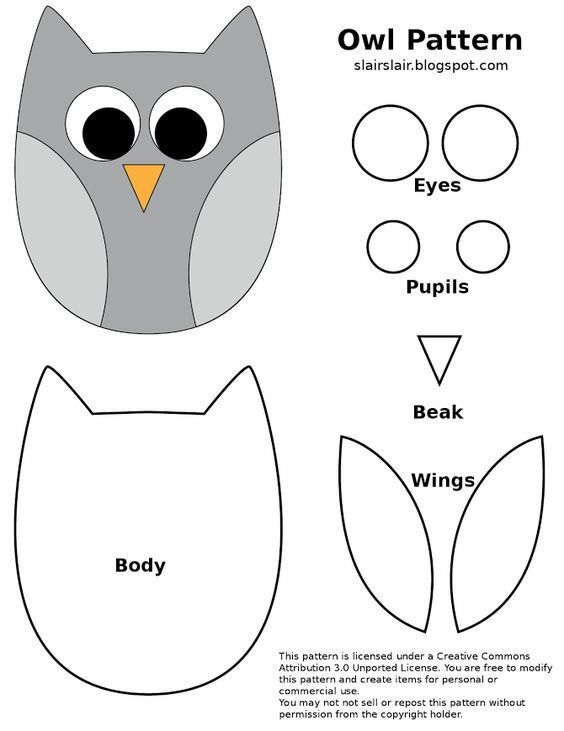 Toy-owl, too, can get toy wings, so that she can fly with her congeners. 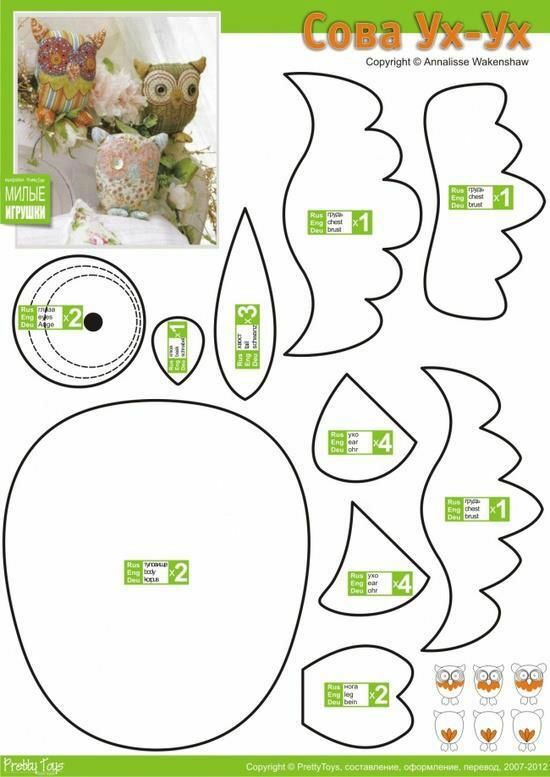 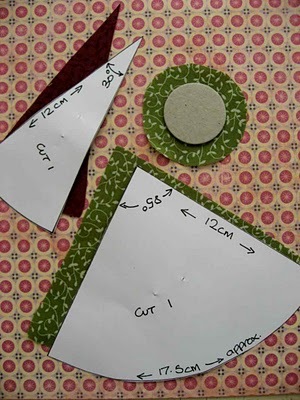 It is enough to cut out of a thick paper patternwings of the shape you need, with its help cut 4 pieces of cloth with an indentation on the allowance, sew them together until the end so that you get 2 wings-pockets. 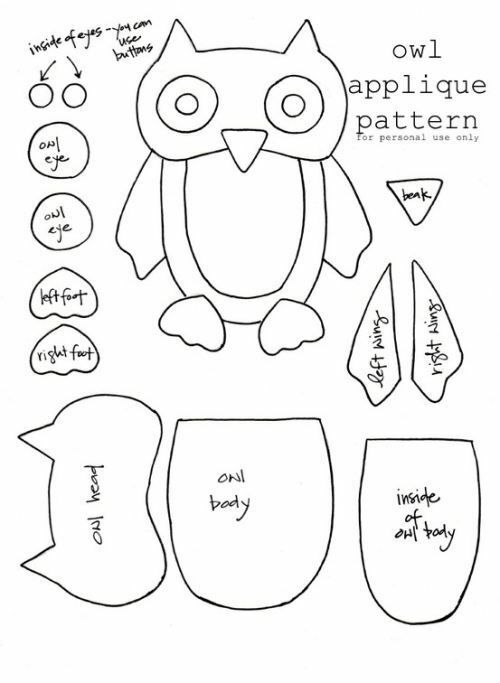 These wings you can fill with the same filler as the body, sew to the end and sew or glue to the torso on the sides. 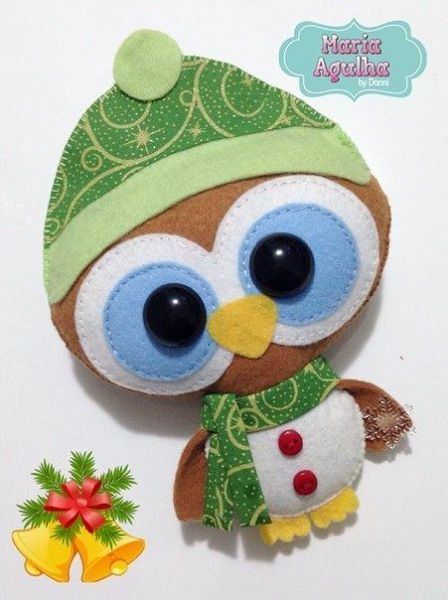 Now the shepherd can fly through a fairy forest.